Stu: I promised myself I would never come back to this place. The Hangover franchise is one of the best examples of diminishing returns. The first film in the series was a big success and generally well liked. Part II presented the same story in a different location, but had enough goodwill to make it a success anyway. Time has not been kind to Part II, as there are few that really want to stand up for it. Regardless, we now have Part III and it is awful. 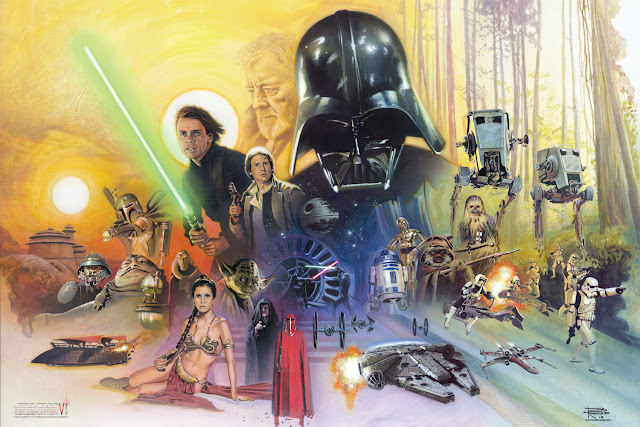 Some may want to commend the film for not rehashing the same plot again, which would be all well and good if this new take on the structure of the plot had something good or intriguing to offer. That really is not the case here. 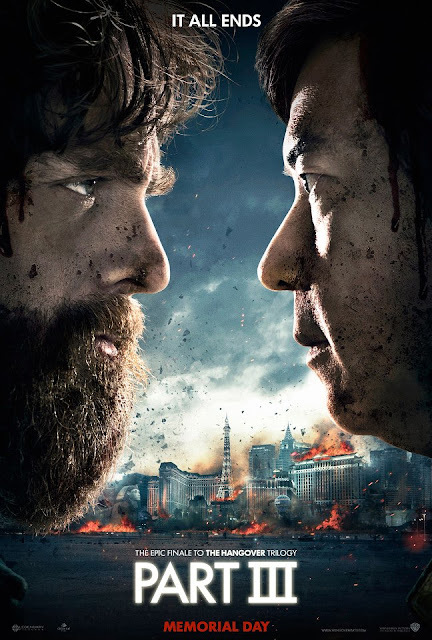 The Hangover Part III is a comedy that forgot to have good jokes. Do these actors and filmmakers with good comedic sensibilities know how to elicit a smile from their audience every so often? Of course, but it feels more than apparent that no matter how big this film wants to make itself seem, there is no real punch to it. It just sits there and the worst kind of movie for me is a comedy that isn’t funny. Following a prologue that lets us observe criminal Leslie Chow’s (Ken Jeong) escape from a Thai prison, we catch up with the Wolfpack, who are brought back together by a funeral. 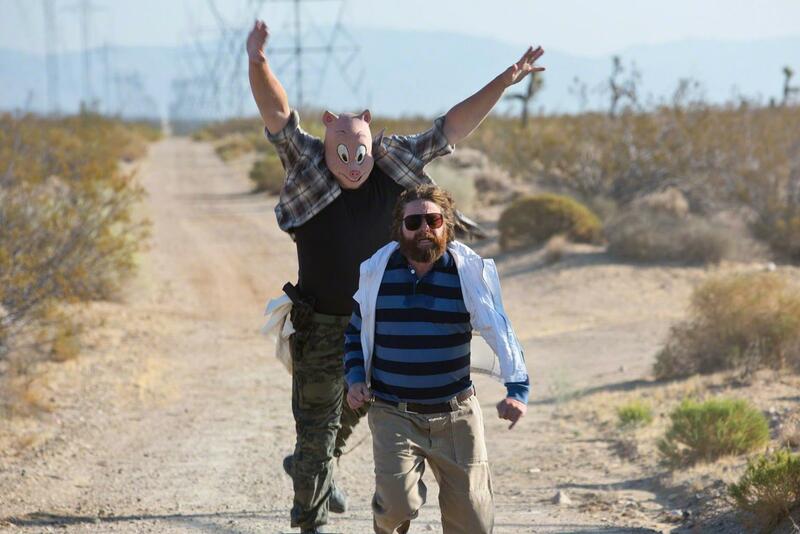 Alan (Zach Galifianakis) has recently been acting out more than usual, as he has been off his medication, which prompts the rest of the Wolfpack, Phil, Stu, and Doug (Bradley Cooper, Ed Helms, and Justin Bartha), to attempt to drive him to a rehabilitation center in Arizona. Unfortunately, while driving through the desert, the Wolfpack is ran off the road and threatened by a dangerous man, Marshall (John Goodman), who kidnaps Doug and forces the rest of the pack to find Chow, who has previously stolen something that Marshall wants back. 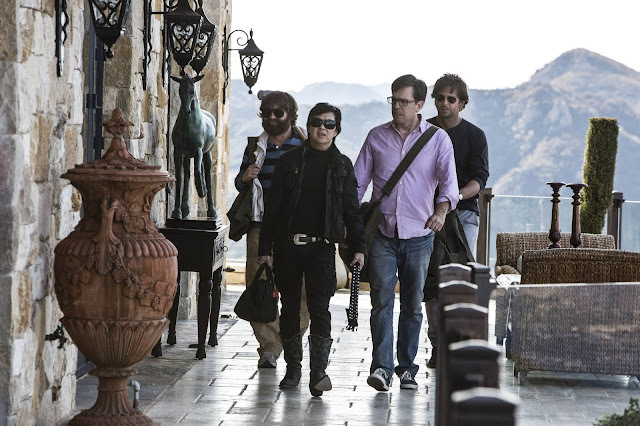 With no other option, the Wolfpack will have to travel to locations including Tijuana and Las Vegas, in order to once again get their friend back. There is a very moderate amount of credit that I can give to this film. As opposed to being way more mean-spirited, like Part II was, this film dials back the meanness, to an extent, and tries to attempt a lot more dark comedy. 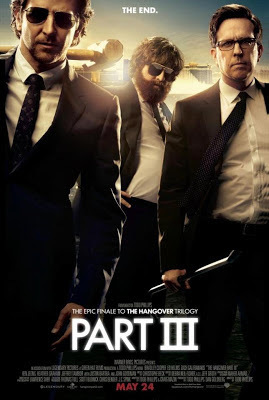 It is somewhat commendable, yes, as is the minimal layer of sentimentality that the film attempts, but The Hangover Part III still suffers in almost every other way. Many jokes fall flat. Scenes that feel like they should elicit some of the biggest laughs are winced at. 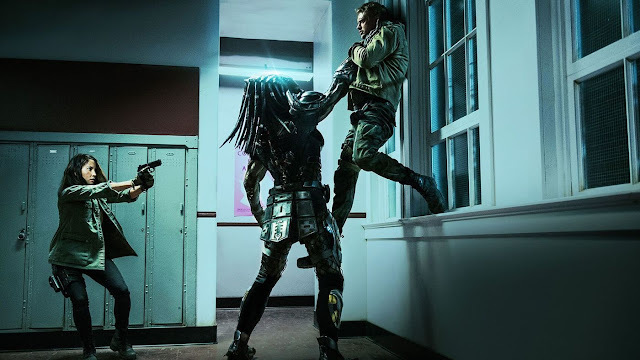 The whole tone of the film is familiar, but the use of shock moments feel like a crutch to make sure the audience is still paying attention, rather than great comedy moments. The first film featured the surprise of a tiger in a bathroom, which was unexpected, hilarious, and used for a lot of comedic mileage. 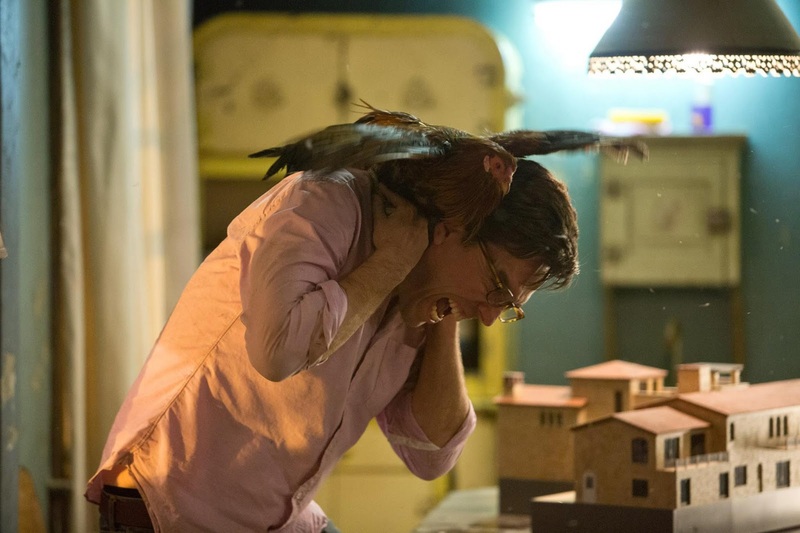 This film features Ken Jeong smothering chickens he uses for cockfights with a pillow and that is not the worst thing you’ll see happen to an animal in this movie. Everyone has returned for this film, including some supporting players from the first film, but it is rare that anyone seems like they legitimately want to be around. 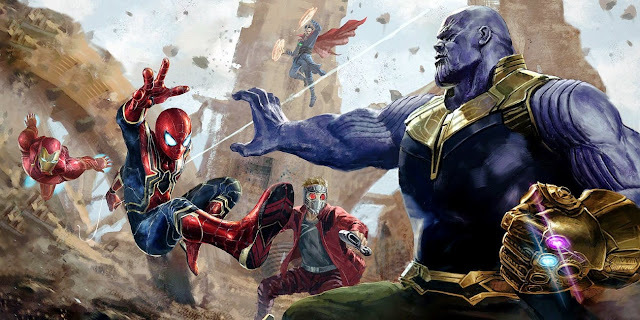 The guys continue to have good chemistry with each other, which is arguably the reason that people will initially want to see this movie, but there is little to define them, aside from Alan, and nothing is really done to bring their arcs to a close in what is supposedly the final installment of this series. Bradley Cooper’s Phil seems to be considered the leader of the Wolfpack, but we’re three movies in and I couldn’t really tell you anything about him, aside how he is occasionally dickish. Ed Helms’ Stu continues to scream at the sight of danger. Justin Bartha is apparently the black sheep of the cast, as Alan is in the films, given that Doug disappears pretty quickly, once again. I am not sure if the general audience is truly in love with Ken Jeong’s Chow character or not, but his heavy involvement will certainly be regarded in some sort of way. John Goodman coming in as a new edition to the series as the über serious Marshall is an okay idea, but even that does little to amuse, once you get the gist of the character. What The Hangover Part III really proves to me is that director Todd Phillips and star Zach Galifianakis need to hurry up and kiss already. By this I mean the two need to stop messing around and work on a more substantial film, in the form of a straight comedic drama, akin to something like (for lack of a better example) Terry Gilliam’s The Fisher King. There’s a film that utilized Robin Williams talents as a comedian for something more and it paid off for him (he scored an Oscar nomination). I wouldn’t put this past Galifianakis, who I have seen do work on a dramatic level. 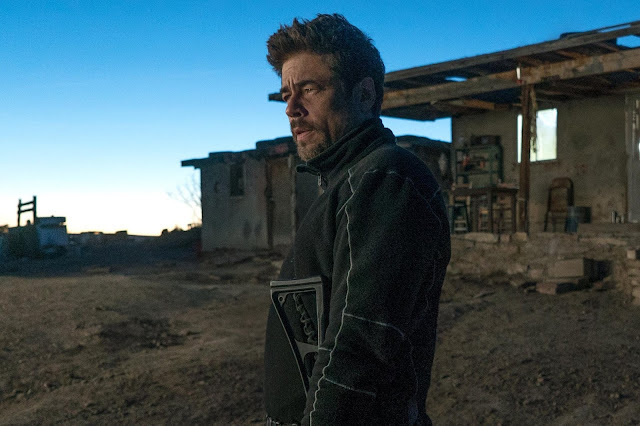 Even his other collaboration with Todd Phillips, Due Date, showed signs of an actor capable of a lot more than being this goofy character, that says and does the wrong thing at all times. Similarly, Todd Phillips is a director that has a keen eye when it comes to how he shoots his films. Go back and rewatch the previous Hangover films. Play it on mute and watch how well made they are from a cinematic level. Isolate just the music and watch how well he can effectively use score or a song within a scene. If the guy is tired of making these movies, and I have little in the way of doubt that he isn’t, watch out for something that feels either more personal or has something to say. Even as I continue to provide reasons as to why ‘Part III’ is not worth checking out, there are seeds planted in regards to what friendship means, what this whole series was for, and what it is that Alan really needs. Of course, this sentiment is bogged down by broad humor that lacks any sort of cleverness and a general lack of energy in a movie that everyone was more or less contractually obligated to make. Now, as I sort of stated at the beginning of this review, I love the first Hangover. I would like nothing more than to have laughed a ton with Part III if it was actually good, let alone if Phillips gets together with Galifiankis again or anyone else to deliver some sort of great comedy. Every now and then the movie did provide some mild amusement and Phillips was able to get a good establishing shot or put in the right song (the soundtrack may actually be the best thing about this film), but it just does not come together overall. It is a comedy that has too much darkness in it. It is a summer movie that lacks the energy to support its super excited audience. It is a franchise that just needs to end. 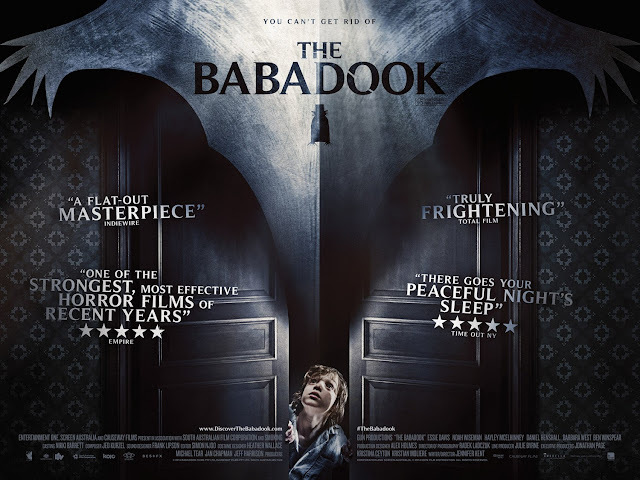 So for a final thought, if you want to not laugh much during a 100-minute comedy film that feels like 2 ½ hours AND see a giraffe get decapitated, see this movie. Buy the popcorn; sit front and center; the whole shebang. Comedy can always be hard to judge, let alone recommend, because it is subjective, but other than a few chuckles, this film is largely devoid of humor. I don’t dislike the actors involved, good on them for becoming bigger stars since the first, and I think Todd Phillips has made a good case for where his career can go from here, were he to take on more dramatic material, but I really hope the tagline for The Hangover Part III, “It All Ends,” sticks. Alan: We can't be friends anymore. When we get together, bad things happen and people get hurt. Mr. Chow: Yeah, but that's the point! It's funny!